Summary: a sleek, breathable, and sneaker-like shoe with approach shoe stickiness. 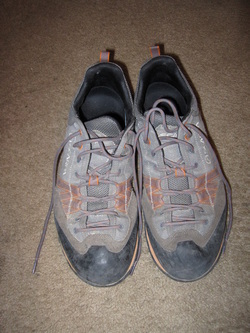 After much deliberation, the Crux Canvas was my first non-mesh hiking/approach shoe purchase since 2009. Never having a problem with cold feet, I would forego waterproofing for breathability. When Five Ten stopped making the Savant, it was back to square one while trying to find the next perfect hiking approach shoe. The market is depressingly dry when it comes to mesh sticky-rubber shoes. The Crux Canvas was comfortable out of the box. In fact, it behaves nearly identically to its predecessor, the Crux. Most notable is the breathability. 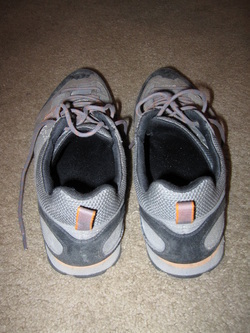 Feet never feel like they’re overheating, and you can feel the breeze through the shoes. The rubber is pleasantly sticky. Surefootedness on the trail goes a long way with comfort and speed! If you’re looking for a supportive shoe, however, don’t go with the Crux Canvas. 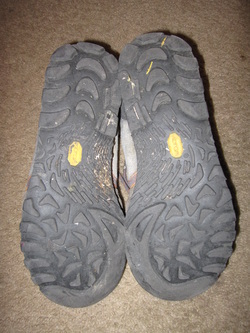 It is a pleasantly supple shoe for individuals who like a barefoot-esque feel. It still provides plenty of protection for sharp-rocked approaches and hikes. The tongue is not gusseted, which is the only downside to the Crux Canvas. 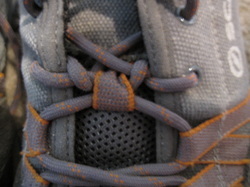 Some fancy shoe-lacing was employed to keep the tongue centered, which has worked. Orange trims highlight the base and shoe lace grommets. It’s a neutral orange that goes well with just about anything. It looks aesthetically sharp. Durability is above average. Some of the heel stitching is beginning to unravel. This might be due to my heel sliding to the inside of the shoe. 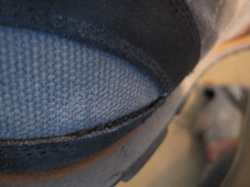 I’ve never noticed this with other shoes, and may simply be a byproduct of using the standard insole. Overall, the Crux Canvas is a great breathable approach shoe, suitable for hikes, approaches, easy climbs, and a night on the town.